Searching for a Property Manager? If you’re a residential landlord searching for a property manager Tampa offers a number of firms for your property. Before you decide on someone to represent your interests in the world of renting though, be sure to check out our Tampa property management pages to learn more about our management services. 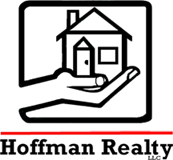 Are you thinking of Renting out a Property in or around Tampa FL? Finding the right property management company can be a difficult process. We've been Tampa's trusted property manager for over 25-years. If you’re considering renting out a single family home, condo or townhouse in or around Tampa, call us today to discuss your situation and let us identify a custom leasing solution. Protect your investment: We preserve the value of your property with proper and timely maintenance, renting to quality tenants, and paying attention to details to reduce risks and avoid surprises. Improve your cash flow: We pay attention to both your top and bottom line by keeping costs in check and keeping rental revenue flowing. We make your life easier by responding to the needs of your tenants, by adhering to the highest professional standards in the industry, and by responding to your needs and meeting your goals.